"The amount of pain that Pakistan has inflicted upon the United States in the last 12 years is unprecedented." — Amrullah Saleh, Afghanistan's former spy chief. Pakistan's Inter-Services Intelligence agency continues to sponsor, equip, and train several terrorist organizations that directly target American troops in Afghanistan, as well as regional allies of the United States, such as India. The U.S. could direct the Department of State to place Pakistan on the list of state sponsors of terrorism. Pakistan's two-faced role in joining the U.S.-led war on terror, while at the same time giving sanctuary and assistance to terrorist groups, was apparent even before the 9/11 attack on America and continues to this day. President Trump's decision to withhold military aid may cause Pakistani intelligence agencies to be even less cooperative than they were in the past in assisting U.S. forces deployed to Afghanistan. Moreover, Pakistan's commercial, economic, and investment interests appear now more closely aligned with China. The recent liberation by Pakistani troops of an American family -- kidnapped five years ago in Afghanistan by Pakistan-based terrorists -- should not be seen as a decision to cooperate more fully with the U.S.-led war on Islamic terrorism. U.S. Navy SEALs were ready to liberate the hostages in the event that Pakistan refused to do so. 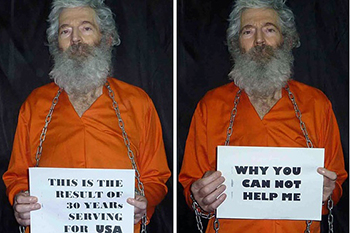 Reports suggest that U.S. intelligence passed to Pakistan the exact location of the hostages, making it difficult for the Pakistanis not to act. Consequently, Pakistan, as an alleged ally of the U.S., had little choice but to assist. Ironically, it is arguable that America's greatest enemy in the region is not al-Qaeda, but Pakistan. Afghanistan's former spy chief, Amrullah Saleh, seems to agree. He assessed that "the amount of pain that Pakistan has inflicted upon the United States in the last 12 years is unprecedented." So why should we be surprised that Osama bin Laden's hideaway was in Abbottabad, less than a 30-minute drive from Pakistan's "West Point," the Pakistan Military Academy at Kakul? It is not, however, in the U.S.'s interest for Pakistan to dissolve as a nation-state no longer sovereign in its territorial space. This would invite Islamic terrorists throughout the world to flock to a newly failed and ungoverned region, jam-packed with nuclear weapons. Nor would such a scenario be in the interest of India, which could become the principal target of a collapsed Pakistan. The collapse of nuclear Pakistan would require action by outside powers, probably including the U.S., to interdict any possible efforts by terrorist groups to seize its nuclear weapons. Finally, as long as the United States and its allies have troops deployed to Afghanistan, it is prudent to paper over existing tensions. Pakistan and Afghanistan share an approximately 2500-kilometer border, etched with mountainous topography and remote passes that can facilitate terrorist infiltration. Without Pakistan's present limited cooperation, however, American troop casualties in Afghanistan could rise sharply. Pakistan might entirely end its already less-than-ideal assistance to the war effort in Afghanistan. Several policy initiatives might motivate Pakistan to cooperate more fully in the U.S.-led war on Islamic terrorism. The U.S. could cease all military aid for an extended period. The U.S. could direct the Department of State to place Pakistan on the list of state sponsors of terrorism. The U.S. could use its influence with the International Monetary Fund (IMF) and the World Bank to deny Pakistan loans. The U.S. could cut off all economic assistance. 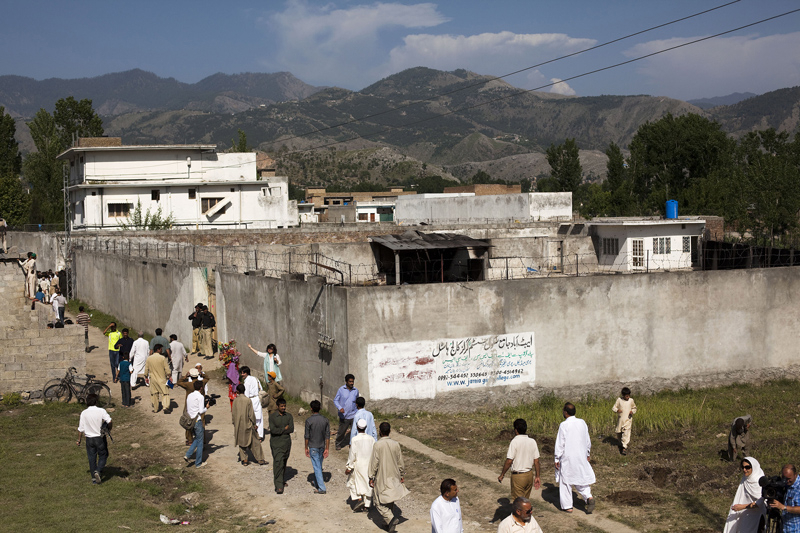 The U.S. could declassify intelligence reports revealing Pakistan's ties to terrorist groups. Such moves would certainly inconvenience the Pakistani leadership. Finally, the U.S. could threaten to support internal separatist movements, such as the ethnic Baloch desire for independence in Pakistan's western province of Balochistan. It is long past time for the U.S. to choose what type of relationship it wants. it's pretty clear to me that the relationship the u.s. needs to have with pakistan is that of an adversay. pakistan if full of pious muslims, and the terror attacks on non-muslims in that country are classics right out of islamic scripture. if the u.s. is to further the cause of freedom, then we need to leave that s**thole in the dust. viva la balochistan (at least, until the muslims there get their own country)! I've always assumed that the US was paying Pakistan for access to Afghanistan, since their airspace, rails, and roads are the only practical (and still difficult and expensive) way for the US to get anyone, or anything into the country. Other than that, there's no reason to even talk to them. Pakistan has always been a cesspool of violence, corruption, and Islamic radicalism, and it isn't about to change. There have been a few governments (Gen. Musharraf, for instance) that tried to control it, but there are so many radical Muslims in every branch and agency of government, the military, security services, etc., that it isn't possible. Intolerant, jihadist, lunatic varieties of Islam have a hold over so much of the the country that there's no way any Pakistani government could control the terrorists. It is what it is, and as long as the US is involved in Afghanistan, it will try to keep on semi-friendly terms with the Pakistani government, and continue to pay (though maybe not so much) for access -- it's cheaper than fighting with them. Pakistan is like so many other Islamic states. They speak out of both sides of their mouths. One side they try to be America's friend while on the other side they are obviously America's enemy. We need to tell all Islamic states that if they want to be America's friend fine. Then they need to stop supporting Islamic terrorism. If they can't promise that then we need to cut ties and treat them as the enemies they are. John, it probably is cheaper to pay pakistan for access to afghanistan than to fight them, as Bisley notes above, but some things are worth the cost, so i agree with U. as an example, it's easier and more efficient for the police to just go around kicking down doors and dragging people off to the precinct station for a beating to get the information they want, but freedom requires that we force the government to get a warrant after showing cause. it's time we started breaking ties with all the vile cesspools like saudi arabia, pakistan, etc. In addition to the measures suggested by Dr.Franklin which could be taken to expose Pakistani overt and covert perfidy, and to try to stem their continuing smiling attacks on America and American interests, it should be considered to utterly cut off the issuance of B2 and similar type visas to the shamefully large number of Pakistani "IT" professionals who have proliferated over the last several years. Really, their numbers are quite overwhelming, especially in the areas near my residence. They far exceed the Indian "IT" visa holders, which is a situation needing amelioration, if the numerous companies persist in not hiring our own US graduates. Perhaps President Trump can tweet about this, as well. Excellent examination and diagnosis of American relations with Pakistan but I would like to add one more remedy to help them overcome their addiction for the Taliban and the Haqqani Network. For starters the United States should apprise Islamabad that when American troops or Afghani troops with American advisors are in hot pursuit and the enemy crosses into Pakistan, the chase does not end until the enemy is destroyed or it capitulates. The real tragedy is the Pakistani people themselves. I remember being able to walk the streets of Islamabad and Lahore alone to purchase products locally made. I drove to Lahore from Islamabad unescorted and felt safe during the entire trip. In Lahore I was upgrading the IT network at the Consulate and had the opportunity to watch the daily military ceremony of the changing of the guard. I spoke to captain of the Pakistan team and asked him if he and his troops had any type of relations with the India troops who perform their changing of the guard simultaneously and he replied that they drink coffee and share a meal very often together. I also had a friend who served in Karachi years ago and he told me that members of the diplomatic corps would vacation in the many beautiful valleys of the mountains. Maybe the government in Islamabad could be apprised of the advantages of an honest relationship with the US and our NATO partners. France and other Western European countries have lost their way entirely. For some scarely understandable reason, France and the other countries like them believe that appeasement is the way to their multitudes of Muslims' hearts! They are, of course, destroying themselves and their countries. It's shocking that they don't seem to understand that their welcome mat to possibly a million or more Muslims in each of their countries will result in the destruction of all they have held dear in their democratic countries. In not too long a time, they will all be living under sharia law with all that implies. How delusional and how sad! Frances, i used to be baffled by the attitudes and behaviors of eurabian governments, too, but after a while, it occurred to me that these people are all politicians. none of them got elected because they don't understand their constituents; on the contrary, to be elected in a republic, one must not only understand what one's constituents want, but also be reasonably able to manipulate people. if one is clueless about the desires of one's constituents, and is unable to at least manipulate them, one will *never* be elected in the first place. so how to explain why it appears that not a *single politician* in eurabia understands islam? if they're not stupid, why don't they check for themselves when it is so obvious that islam could be dangerous? my current guess is that most people, having been educated in the public schools and universities, are at least nominally leftist, because the hard left has had total control of education for decades. they have replaced the teaching of critical thinking with the rote memorization of "facts," many of which are actually leftist beliefs. consequently, the pool of people available for staffing the media, government, and education are at least nominally leftist. thus, the government takes on a leftist slant, since they, like most folks in republics, strive to do what is "right." the right thing, of course, is generally going to be leftist. finally, and probably most importantly, most people, regardless of their political orientation, when trying to solve a problem, usually don't go back to first principles, since the rational expectation is that what one has been taught in school is close to the truth. another *very* important rational expectation is that if there is a danger to the nation, somebody higher up the food chain would know about it; since the legacy media, government officials, and leftist thought leaders in the academy all put forth that islam is a "religion of peace," there must not be a problem. now let us look at what the left did in the past century (besides the mass murder, i mean). with rare exception, in every case in which they gained control of the government, it was due to society in the country in question being in chaos. i believe that the left learned well that if they can't have their hard-core leaders elected honestly, they will undermine society so that when it is close to collapse, they can seize control. and this brings us up to the present day. if the left, knowing the danger presented by pious muslims, imports them anyway, and continues to provide cover for them, the only likely explanation is that they are using pious muslims as a proxy army to destabilize society. once daily life is no longer safe, society will begin to collapse. the government can then justify declaring martial law, and the citizenry will thank them for it. now, rather than having to deploy a leftist army in a civil war to seize power, if hard-left leaders are not already at the helm, it will only take a few assassinations to put them there. therefore, i refuse to believe that these leaders are delusional; it makes more sense that a few thought leaders, like ms. clinton and mr. obama in the u.s. (both hard-core alinskyite leftists), are actually very intelligent *traitors*; most of the rest of the left are not hard-core, and are relying on their faulty education and the supposed national defense actions of those at the top. what happens when the hard left actually seizes power and attempts to "solve" the pious muslim problem is a subject for a diatribe some other day; suffice it to say that the "solution" most likely involves that dependable old leftist fallback, mass murder. When are we in the west going to wake up and NEVER trust Islamics whichever country they come from. The Koran positively encourages Muslims to lie if the infidels US are in their way!! Looks like the USA can't choose in a few states. Pakistan has nuclear weapons and Turkey was once a major stumbling block to the USSR. The nuclear weapons with US presence do not prevent Islamic terror. Similarly Turkey sponsor of Islamic terror is not stopped by the USA alliance. What to do? The sword of Damocles is hanging on this issue above the rulers in Washington for a long time and so far the USA took the easy route. If Afghanistan continues to provide shelter to terrorists then for Afghanistan will face terrorism because terrorists are friends with no one. Afghanistan provides shelter to foreign terrorists and those foreigners often work with local ones against the US interests. Well good luck USA.